In this article, I’m going to show how to create a cool effect to make the NPCs in your game appear or disappear. One of the issues that you need to resolve when you kill an enemy in your game is how to hide it from your scene. Unless, of course, you want to pile up enemy bodies. We are going to create a custom shader in WaveEngine for our aim. If you do not already know it, we recommend reading this article before you start. Follow the steps to create the project effect. In this tutorial we will learn how to create a new material with custom rendering to use on any Wave Engine game. 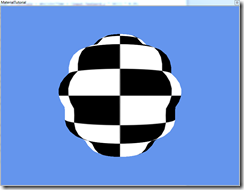 This tutorial assumes that the reader has experience with HLSL and GLSL shader programming. One of the main features performed in Wave Engine 2.0 is the rewriting of the Material library. To afford tasks like the New Deferred Rendering, we soon realized that we needed to improve the existing material library. For WaveEngine 2.0 we decided to change our render to allow users to have more control on lighting. The big challenge here was how to offer a better lighting system and still support old mobile devices with OpenGL 2.0. 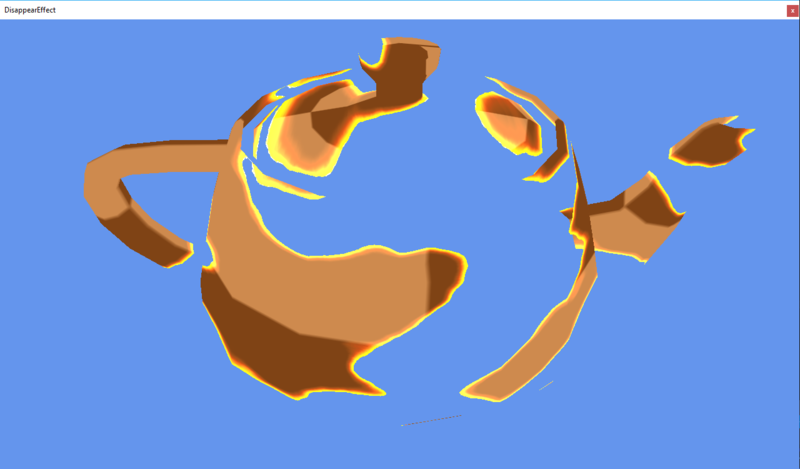 The render system in WaveEngine 1.4.2 is known in computer graphics as Forward Rendering. It is fast, simple but limited since you cannot use for example more than 4 to 8 lights per object (there are some techniques that try to simulate more lights but do not give good quality), and you need to write a large amount of shaders to support some combinations efficiently.